HomeAll classesCraftsTerrariumTerrarium Introduction Jar Class - Bible Factory Studio! Come and experience a taste of Terrarium garden design. You will learn the history and create your very own living garden in a jar. A perfect gift!! A great class to learn the basics of terrarium garden design. This is an introduction class lasting 1 hour 15 mins. 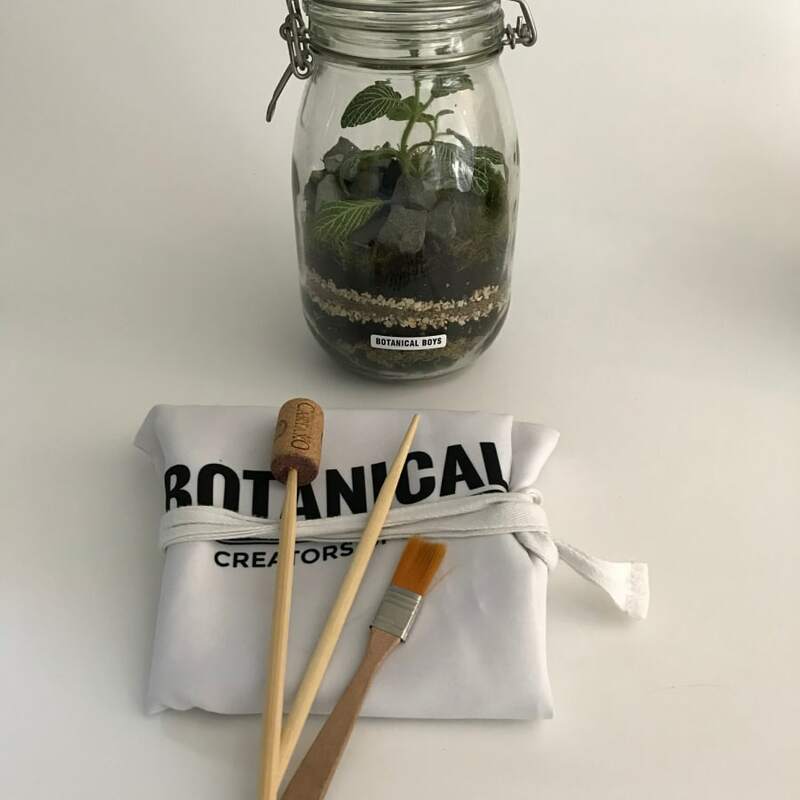 By creating a terrarium it helps you to feel calm and relaxed and by getting your hands dirty you are literally connecting with nature in this class. You will be able to add rocks, stones and moss features and of course a selection of plants will be available to you. Once you have completed your garden, it will become a self-sustaining eco system where the plants will thrive and take care of themselves. The Botanical Boys will take you through a brief history of terrarium design and tell you how one medical doctor changed how we are able to grow and transport plants since the 1800's. Plus, they've got Prosecco!! If you are keen to learn more and build a larger garden, they run a longer 2 hour session, please see the Obby Botanicalboys pages to book in! Did you know terrariums were originally called Wardian Cases. Learn more at the workshop! I killed my last terranium so decided to give this class a go. It was wonderful. Darryl & Ben have an amazing space with so much inspiration & SO many options to play with (including cute little figures to help add some personality). My creation is awesome, I learnt a lot (including sand layering techniques and plant care) and I had so much fun. The class was absolutely fantastic with just the right mix of informative, fun, relaxed and interesting. 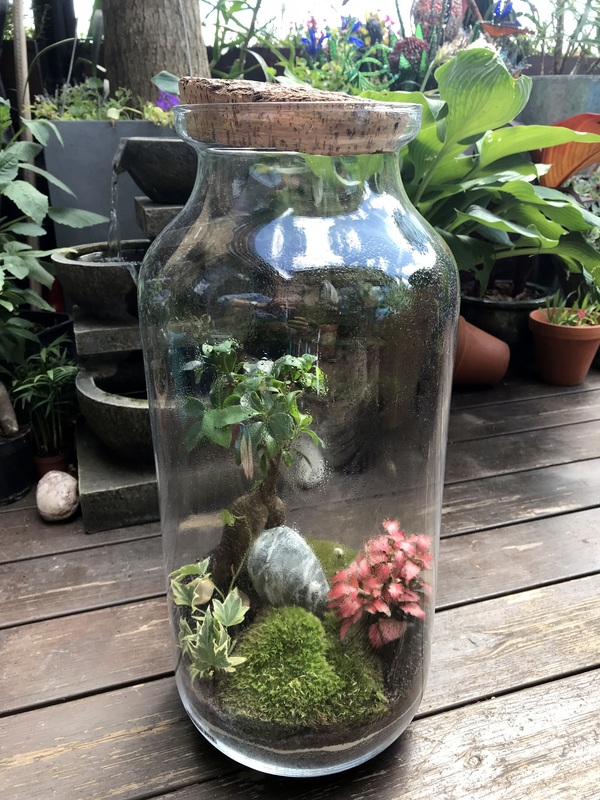 Came away with a terrarium to be proud of and a desire to create another! Very highly recommended and great teachers/hosts! Really great, fun and informative class with prosecco thrown in to make it the 5 stars it deserves! The workshop was brilliant from start to end. The teachers were very warm, knowledgable and created a lovely and relaxed atmosphere. The terrarium intro led us through all the steps to create our very own Terrarium! It was so much more and better than i expected! Thank you guys. Had an amazing afternoon with the Botanical Boys! Very fun, friendly and informative. Would highly recommend to anyone wishing to try out something new and exciting. Thank you! Cannot recommend enough! The class was such a wonderful experience. 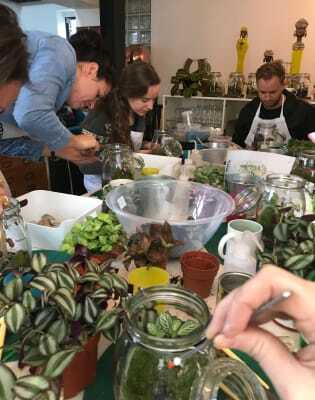 Darren was an amazing teacher, the location is beautiful and the atmosphere is both fun and peaceful, there are so many inspiring ingredients available to craft your terrarium with, and you get something special to take home and treasure at the end :) I loved it! When my friends and I signed up for this I wasn't entirely sure what to expect, I had never booked anything through Obby before but I was excited to give it a go. We had an incredible time with the Botanical Boys, Darren and Ben, and cannot recommend their class enough. Being welcomed into their lovely home full of terrarium inspiration, my friends and I had a great time and definitely intend to take another class. Darren was a great instructor who is obviously very knowledgable and incredibly patient while Ben did a great job of making us feel welcome and topping up our prosecco while taking lovely photos of the whole evening. I am really looking forward to my next class! Bought as a gift and had a great time! They couldn't have been more helpful and we loved the terrarium we took away. Would definitely recommend! A really enjoyable workshop. Would've loved it to be a bit longer :) nice location and friendly host. Really great class. Learned a-lot, and had lots of fun! The Botanical Boys were extremely welcoming, helpful and knowledgable, and also have a beautiful workspace! Would definitely recommend. 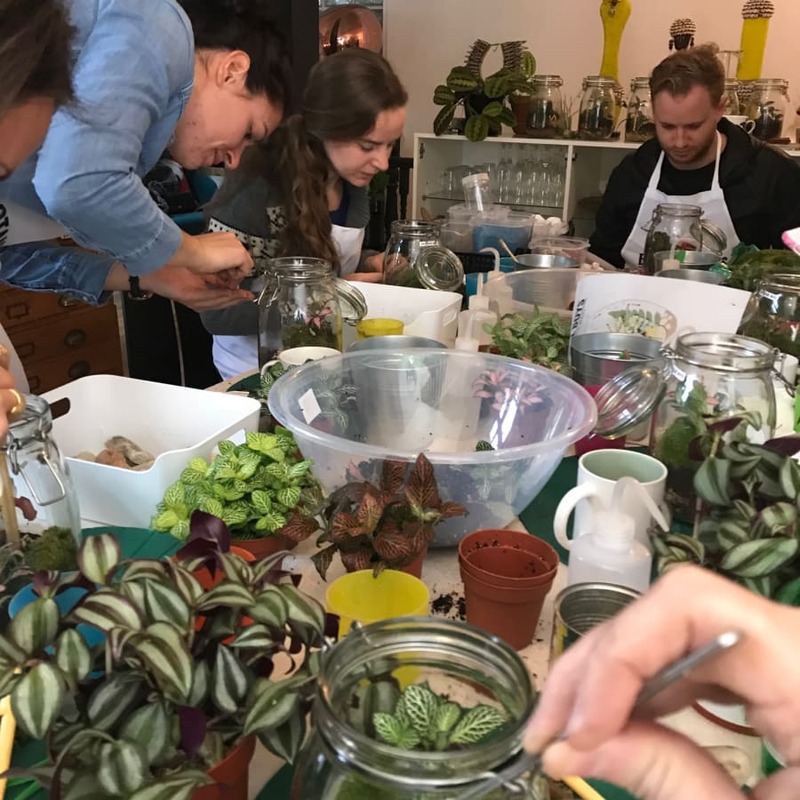 Really great workshop run by Botanical Boys in their amazing flat in Dalston which is full of terrariums and other lovely decorative pieces! I learned so much about terrariums and even made my own to take home that I feel oonfident I can take care of! We were given red bush tea and prosecco during the class too. This is great idea for a gift to someone as it's an experience that can be shared and you get to take something home. I will definitely do one of their other classes! We really enjoyed this class. The hosts clearly love what they do, the workshop space is beautiful and packed with inspiration, and we were pleased with our terrarium. Plus a glass of prosecco - what's not to like? Had a lovely afternoon with Botanical Boys - they shared their passion and skill with us in a welcoming environment. Thank you again! I absolutely loved this class - friendly and informative hosts, relaxing and fun environment, and I've got a beautiful mini garden to enjoy! I really recommend this class, it's a delight. Thanks! Absolutely fantastic class! Our instructor was so informative telling us the history behind the terrariums and explained things really well. Amazed we all managed to make something so pretty but our teacher was great.The prosecco was an added bonus! Was so good I’ll be buying as a present for some friends :-) thanks for an excellent time! We loved this class! It's a really personal affair in The Botanical Boys' dining room, with a small group. Great value and attention to each student. The class was excellent. The guys who run it are really nice, funny, and know their stuff. Everyone in the class made a great Terrarium and we were allowed to take them home - plus there was prosecco! The only comment I would have for the botanical boys is that they kept showing us weird things they had been given that we could put in our Terrarium, like toy dinosaurs and cocktail flare sticks - maybe reel this in a bit and just let people enjoy the natural aspect of it a bit more. This is a small qualm though, because the class was incredible and I would highly recommend it. Lovely mothers day gift. Really great workshop, very relaxing and informative. Guided through all the steps and leave with lovely terranium. Also got some prosecco! Thanks very much. Me and my mum had a fantastic time and it allowed us to bond over something fun! Thank you again! I’ll probably be back soon haha! The workshop was ace, we had a great time! Adam was really friendly and informative, and making the terrarium was relaxing and a lot of fun. SO much fun! The studio was a sight to behold, the Botanical Boys are clearly passionate about all things plants and beauty. Adam was a wonderful teacher, making us all feel at ease and helped us make gorgeous terrariums. We WILL be back!!! All equipment, glass, plants, decorative items, hot, cold and Prosecco drinks included.